Home Sports BREAKING NEWS: COURT ORDERS The Arrest Of Former Super Eagles Player, Austin Jay-Jay Okocha Over Tax Evasion. 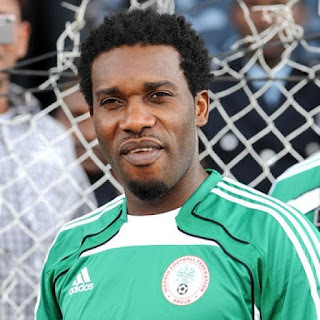 BREAKING NEWS: COURT ORDERS The Arrest Of Former Super Eagles Player, Austin Jay-Jay Okocha Over Tax Evasion. A Lagos State High Court has ordered the arrest of former Super Eagles Captain, Jay-Jay Okocha over what the court termed Tax Fraud. Okocha is said to have failed to settle a case of tax Evasion brought against him since 2017, as according to the latest news by Vanguard Newspaper, he is being accused of evading tax, which has necessitated the issuance of a warrant against him by the court. The Lagos State Government had accused Okocha of committing tax fraud which stayed unsettled for two years and had made the High Court of the state issue same order on the 29th of January 2019, following an application by the Lagos State Ministry of Justice , but reports says that Jay-Jay is denying not being culpable or guilty of any tax evasion as being alleged and said that he actually learnt of his arrest on the pages of newspapers. The ex-footballer was charged to court by the Lagos State Ministry of Justice on a THREE-COUNT charge of failure to give account of his incomes.